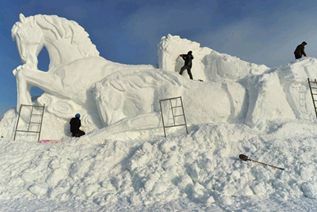 Workers shape a snow sculpture to welcome the Chinese lunar Year of the Horse at Balikun county, Northwest China's Xinjiang Uygur autonomous region, on Dec 25, 2013. 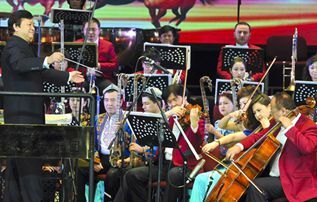 A large concert got off to a flying start at Xinjiang People’s Hall in the city of Urumqi, capital of the Xinjiang Uygur autonomous region, on Jan 28 to celebrate the upcoming Spring Festival. The orchestra provided an extraordinary visual and audio feast for local citizens. On January 23, workers are installing a “lucky-buckle” sculpt comprised of red lanterns at the northern gate of Urumqi City, capital of Xinjiang Uygur Autonomous Region. 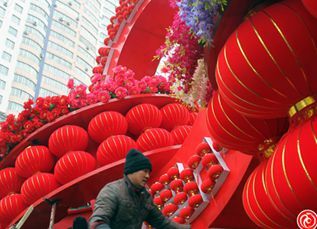 It is learnt that, in order to welcome the upcoming spring festival, the construction bureau of Tianshan District plans to build up such “lucky-buckle” sculpt, with 5-meter high, 88 big lanterns and more than 200 smaller ones. The project is to be completed in January 24. 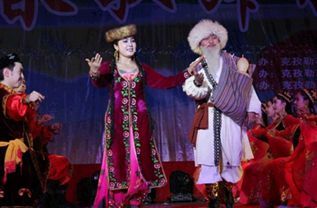 In order to welcome the coming of the Chinese Spring Festival, Kizilsu Kirghiz Autonomous Prefecture in Xinjiang Uygur Autonomous Region held a Spring Festival Gala, with song and dance troupes’ participation from three counties and one city under the jurisdiction, sharing the festive happiness and welcoming the Spring Festival with the local people. 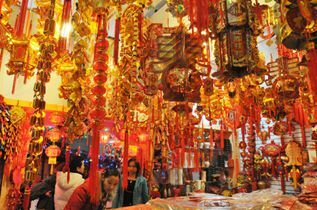 As the spring festival approaches, the dazzling festive decorations, couplets and window grilles in markets of Korla City attract many consumers. It is learnt most supermarkets in Korla City are busy replenishing stock, welcoming the upcoming shopping wave before the Spring Festival. 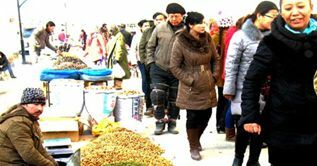 Bazha, the largest retail and wholesale market in the city of Alar in the Xinjiang Uygur autonomous region, has become increasingly busy and crowded as Spring Festival approaches. Bazha is open Monday to Sunday and offers access to a wide variety of local products, including seasonal vegetables and fruits, seafood, clothes and miscellaneous items.